With speed for added productivity, full colour for enhanced communication, and built-in security features for total peace of mind, the MX-2614N is a must-have for any office looking to build its business. 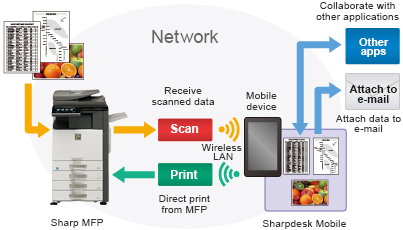 This full-colour A3 solution packs the four-in-one convenience of fast, high-quality copying and network printing, handy network scanning, and a B/W fax option into one energy- and space-saving MFP. For operational efficiency, there’s a high-speed 100-sheet Reversing Single Pass Feeder, an optional 500 + 2,000-sheet large-capacity paper tray, and the Sharp OSA (Open Systems Architecture) development platform. To safeguard office communications, standard-equipped security functions* provide encrypting/erasing of internally stored data, and the Data Security Kit option brings added protection. * Contact a Sharp customer representative for details on activating these security functions. Sharp’s second-generation Mycrostoner-HG (High Grade) and an improved imaging system combine to allow the full spectrum of colour reproduction in crisp, sharp detail. 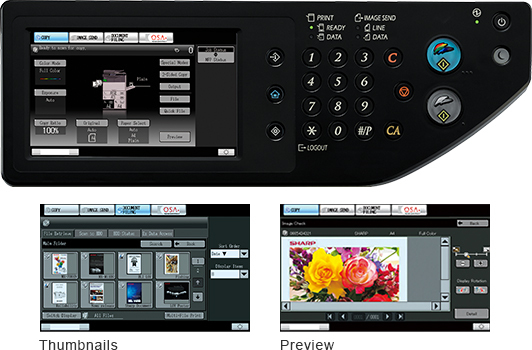 And because the MX-2614N is so easy to operate, breathtakingly high-quality images can be had with just the touch of a finger. The MX-2614N was designed to complement the décor of any workplace. A 7.0-inch WVGA touchscreen colour LCD—with optional thumbnail displays and data file previews—raises the bar on user friendliness and easy navigation. A retractable QWERTY keyboard option offers added convenience. 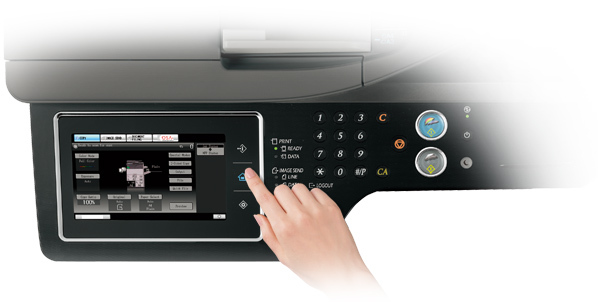 The MX-2614N offers a choice of six LCD screen colours. While the default colour is black, users can easily select their preferred background style.